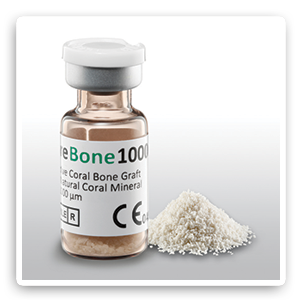 CoreBone is a natural alternative to current synthetic, bovine and human derived bone grafts. 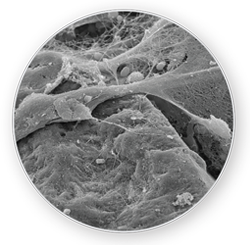 It provides volume maintenance, remodeling by osteoclastic activity and required bone formation qualities without the limitations associated with animal or human sources, and better biological safety profile. Already used in thousands of cases worldwide, it is widely compared by our users to the leading bovine derived bone grafts. 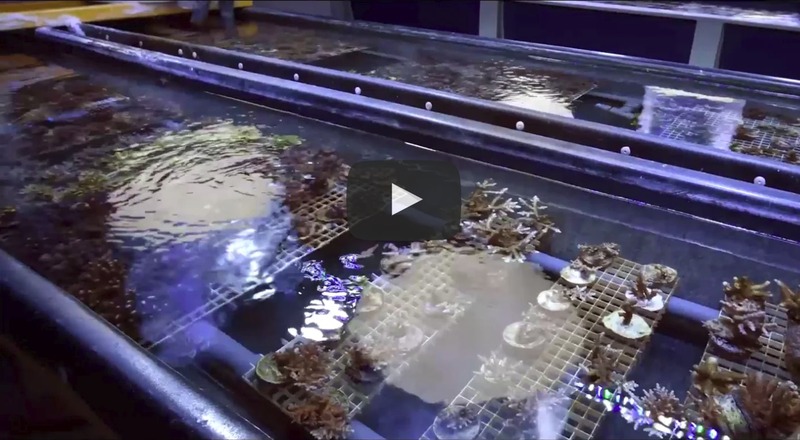 CoreBone corals are grown in a closed, controlled aquatic (aquarium) system. Using proprietary technology and laboratory-made sea water enriched with bioactive nutrients and CoreBone’s own coral breeding source. 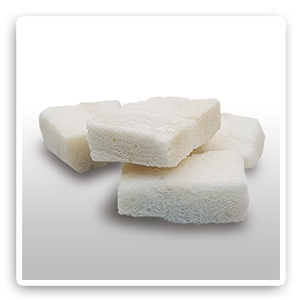 This enables CoreBone to leverage the coral natural bone-like properties, prevent sea pollution related risks and ensure product consistency. CoreBone is a natural alternative to current, bovine and human derived bone grafts. It provides volume maintenance, remodeling by osteoclastic activity, better biological safety profile and required bone formation qualities without the limitations associated with animal or human sources. 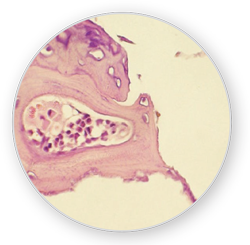 Histology of a core trephined from an edentulous upper posterior ridge 6 months following a sinus lift. 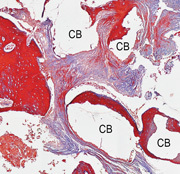 The upper zone reveals graft particles (CB) surrounded by new Bone indicating high graft conductivity. 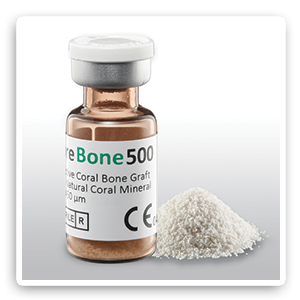 CoreBone grafts are made from corals that are grown in closed, controlled aquatic (aquarium) systems. The systems eliminate a number of the challenges facing wild corals: sea pollution, biological marine contamination endangerment and extinction of species. CoreBone corals are bred from selected species suitable for selected clinical indications for optimal strength and porosity. 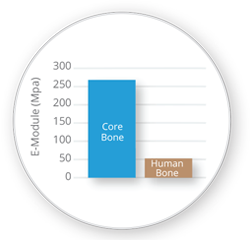 Making use of its proprietary technology, CoreBone embeds specific nutrients such as silicium and strontium into the coral mineral during its growth process, making it bioactive and osteoconductive. 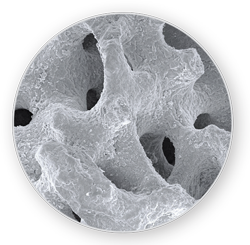 The interconnected porosity of CoreBone coral allows 3D generation of bone that has demonstrated to lead to higher fusion rates, without loss of strength. CoreBone was founded by CEO Ohad Schwartz and Prof. Itzhak Binederman. It is one of the portfolio companies of The Trendlines Group. CoreBone has issued patents and substantial know-how in regard to growing coral for medical purposes. CoreBone products are CE and ISO 13485 certified. Our products are approved for maxillofacial and orthopedic indications and are in use in Europe and Israel mainly.